We are big pottery fans here at the cottage. We love buying handmade pieces. We have a pottery in our area that we really love. It's just that we found that, too often, they broke easily. We just couldn't keep paying to replace them. One day I was shopping at my local Christmas Tree Shops and found that they carry Polish Pottery. It's beautiful and it is made in Poland - they come with official stickers. The colors and patterns are so pretty and at CTS the mugs are only $5.99. Amazing. I love the cobalt blue on these. "Life's too short to drink from an ugly cup!" I could me becoming a collector of these pieces. What about you? Do you like Polish Pottery? Do you collect dishes? What do you collect? Beautiful cups! I love the blue:) Have a blessed day dear friend, HUGS! Amen to that! I prefer a comfortable cup over beauty, but why not both?! My sister collects Polish pottery, and I bought a piece for her at CTS when we were in Lancaster last fall. The price is fabulous! Blue and white pottery of any sort is my favorite. And I agree with drinking from a pretty cup or mug! Makes anything taste better. 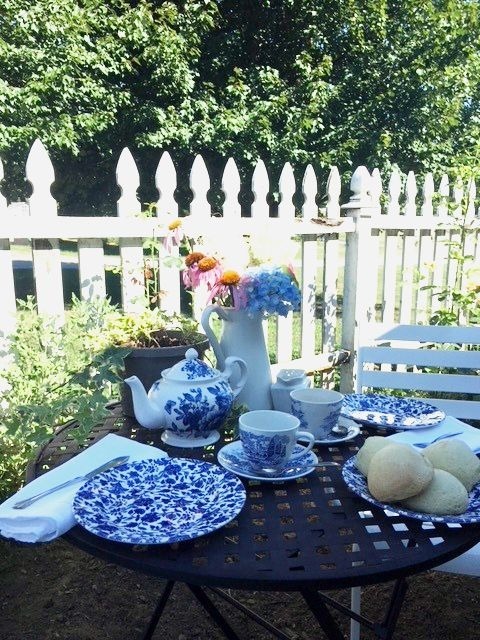 I think you know I am a dish addict and blue and white are my favorite in dishes and pottery … I reveled in the pottery when I was in Romania and Hungary and brought some home. Turkey held a whole new level of beautiful pottery, but my cupboards are full so none came home with me. Your pottery is beautiful and I agree a beautiful cup/mug (but also comfortable, Vee) does enhance the hot drink experience! I have three ornaments that look like wrapped candy with these designs and a pie bird. Love these. Your pie bird sounds cute! I love these too! Thanks for your visit and comment! Love the pottery, as well as the quote from jAne. Such a nice price, too, makes it much less painful to lose one to breakage.